Hello New Entry community! Happy AmeriCorps week to all of the amazing people who have spent hundreds of thousands of volunteer hours serving their community! My name is Marissa Patterson. I am a TerraCorps/AmeriCorps member serving with New Entry from September 2018-July 2019. For one of my projects during my service term, I have been and will continue to interview different people involved with New Entry programming, from volunteers to farmers, Food Access Partners to food recipients, and other course graduates who have moved on to make waves in the local food system in other ways. After my interviews, I will be writing up short biographical pieces about the individuals or organizations. I am also spending time working on creating a graphic that represents the connections between these different members of our community. My hope for this project is to introduce website visitors like yourself to some of the awesome people we get to work with and to clearly represent how our programs function on the ground. Stay tuned for upcoming additions to the website! 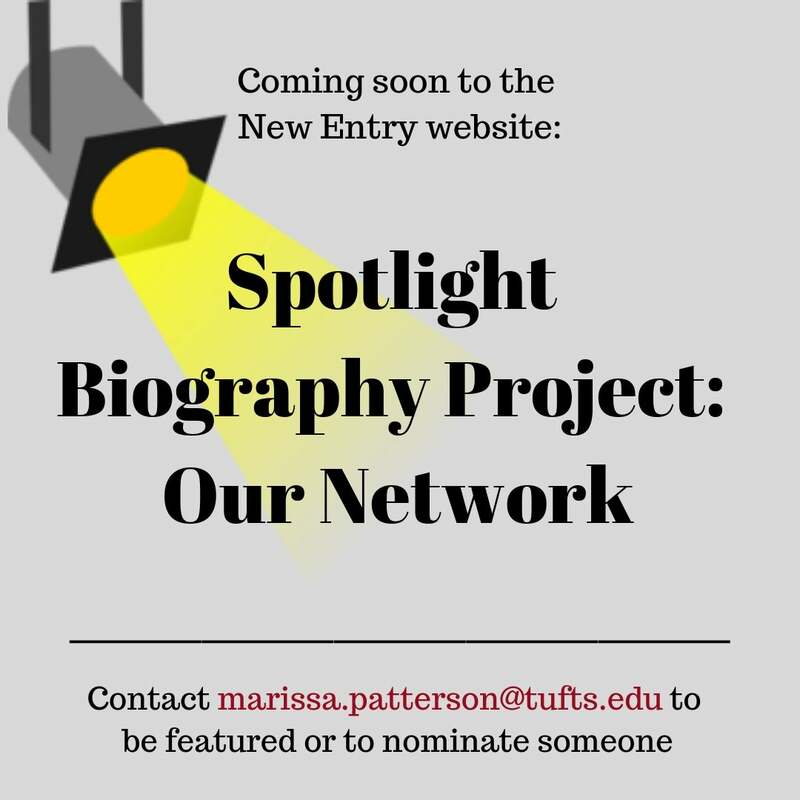 If you would like to be featured or nominate someone awesome you know or have other questions, please email marissa.patterson@tufts.edu!